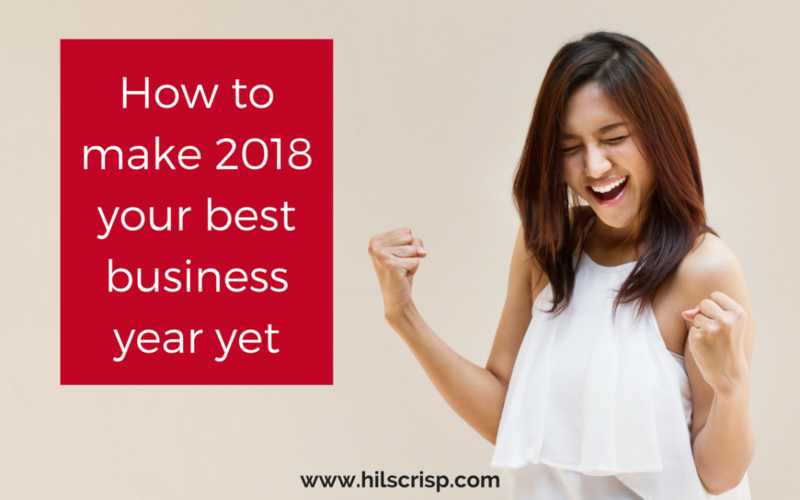 If you want to make 2018 your best business year yet, find out how to review 2017, learn why you MUST know your numbers and how to work with goals effectively, in this blog. So, before you get into setting goals for next year, it’s a really good idea to review this year as it comes to a close. If you set goals last year, I dare you to dig them out and compare them with the year you actually had, I just did this and it was very interesting! Reviewing your goals is not so you can feel bad if you didn’t achieve them, but to help you see what did happen, what worked and what didn’t and help you tune into what you really want for 2018. What did you want to achieve in 2017? What goals did you set? What did you achieve regarding your numbers? Income, costs and profit. What were your weak points and the things (especially marketing activities) that didn’t work? What things worked really well? You may want to keep these! Also write down anything else you need to get off your chest to be able to leave 2017 behind, having mined all the gold (lessons) and let go of anything not totally positive. Effective goal setting is so much more than dreaming or visioning what you want. It’s more even than coming up with a tangible target. So many people, even people with their own business avoid thinking about their numbers, ie their financials, income, costs and profit. I actually don’t know how it is possible to operate a business, let alone build a successful one unless you focus on the numbers. Many people bury their heads in the sand when it comes to numbers and finances, especially around earning, income, charging and pricing. There are tons of reasons for this – see this previous blog for why setting your prices is so hard and this blog on the fears that may cause you to not set goals at all. It may help you if you tend to avoid looking at your numbers. We all have money blocks (subconscious beliefs, patterns, fears) that cause us to actually block having more money. No matter what level you are at in your business. It’s something we all need to consistently work on. If you’re running away from your financials, then there are definitely some money blocks at play! Now I’m not one to shy away from difficult topics as you know! I love talking about and working through fear with clients (which I believe resides under a lot of our struggles). I’ve facilitated people on everything from abuse (sexual and parental) to loss of personal power, grief and regaining confidence. I’ve written a course on pricing (for beauty entrepreneurs) and run a workshop all about pricing your services confidently. Even when I don’t achieve them! During my corporate career in marketing, I worked a lot on the numbers, from sales and production forecasts to budgets, margins and everything in between. I had to know my numbers inside out and I spent a lot of my time with my head in a spreadsheet, ensuring 100% accuracy! I know not everyone has this kind of training and that numbers are not that easy for many, especially more creative types. But when you have your own business, they are crucial. The more specific you can be, particularly about what you want, the more likely you are to achieve it – anecdotal I know, but I believe it is 100% true. #1 a ‘goal’ (aka dream/wish) of ‘I want to have more money’. d) the universe/higher power/god (or whatever you call it) can’t help you manifest it. The universe may hear you and help you find a pound coin in your coat pocket that you didn’t know was there – thinking it has done its job well. That’s ‘more money’ right? #2 Now, think about a specific, measurable goal of “I want to earn £2k from my coaching services in the month of January”. That level of specificity is like sending an arrow out powerfully towards your target. It is so much easier to work towards. And the universe is clear, so can better help you too. You can make a plan of how you will achieve it. How much of it will come from warm leads and how much off the back of your workshop? How many clients does that actually break down to? Having that goal, £2,000, front of mind throughout the month and marking off each client as you sign them up, would help you move towards the goal so much quicker and clearer than the first ‘goal’ which as I hope you can see, is just wishy-washy! When you have this specific goal as your main focus, you will drop doing all the other crap that you don’t need to do and follow your plan. Then at the end of January, you can review the goal and whether you achieved it or not and even if you’d only made £1500, I bet you’d have got much closer than if your goal had been number #1. Trust me and whether you believe me or not, try it. Most people set really vague goals (like #1 above), then forget about them (so don’t review them). Then later wonder why they didn’t achieve them! Don’t be that person! It’s time to take your head out of the sand, look at your numbers and set some really juicy goals. See below for how I can help you do that. Do you want to do it differently? If you’re serious about making your business work and making 2018 your best year yet, you need to be setting effective goals and following a step-by-step process to make your goals a reality. #1 Come to my Marketing Mentoring & Mastermind session on Effective Goal Setting for 2018 in Bristol on January 11th. The earlybird price ends Dec 14th! #2 Book a 90 minute ‘Effective Goal Setting & Planning for 2018’ 1-2-1 coaching session with me for just £99 (if booked before the end of January as my prices will rise from February/March). Let me help you make really effective goals, then plan out how you’ll realise them so you can focus on the activities you need to be and you’ll stand a chance in actually achieving them! Session to be taken online over software like Skype. 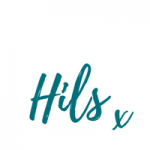 Or email me on hils@hilscrisp.com to pay by credit/debit card or bank transfer or if you have any questions. I hope that’s been useful. I’d love to know how you feel about your numbers. Do you track them? Do you set specific financial goals or do you avoid your numbers? Please comment below and let me know. Thank you. If you found this blog useful or interesting, please share it on one or more of your social platforms. Many thanks! Great article for the last new moon day of the year whilst I’m setting intentions. ?